Do you have these eggs? Eggs have been recalled from Coles and Woolworths stalls over a potential salmonella contamination. 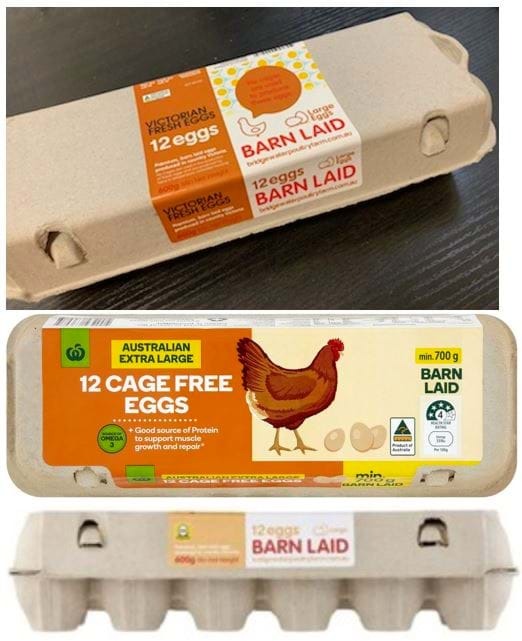 Food Standards Australia New Zealand issued a recall today for the following egg ranges: Woolworths 12 Cage Free Eggs 700g barcode 9300633636982, Victorian Fresh Barn Laid Eggs 600g, Victorian Fresh Barn Laid Eggs 700g, Victorian Fresh Barn Laid Eggs 800g, Loddon Valley Barn Laid 600g (VIC and SA only). They have best before dates of March 20, March 23, March 27, March 30, April 3, April 6, April 10, April 14, April 17, April 20, April 24, April 27 and April 29.